When talking about excellent games, it’s easy to say that a game would make my top 10 or top 5 games of all time. The Witcher 3 is a recent example of a game that I enjoyed a lot and figured would be in the conversation for my favorite game. Discussing the game on our podcast throughout my time with the game, those feelings remained strong and it ended up being my favorite game last year. Those discussions stirred up a desire to sit down and actually formulate a list of my favorite 10 games and write about what makes them so special to me. It turns out, when you actually sit down and try to formulate a list like this, it’s not easy at all. After quite a bit of deliberating here is my top 10 games list (for right here and now). Obviously things will change over time, maybe even before the end of this year, but I thought this would be a fun opportunity to share some opinions and dive into my gaming history. In addition, I think this will help me construct better arguments for the games that I like and discuss them in more measured terms. This article will be in two parts counting down from number 10 to number 1 and will include spoilers. Let’s get started. Prior to Dead Space, my knowledge and experience with survival horror games was nonexistent. At the time of it’s announcement I was beginning to branch out into new genres and I found myself very intrigued. Once again the sci-fi/space setting and weird premise roped me in, but the dismemberment mechanic of the game struck a chord as it was a unique way of approaching combat in a shooter. I’m glad Dead Space managed to grab my attention, because the game lived up to everything that I had hoped it would be and then some. Dead Space does a great job of making you uncomfortable with an incredibly tense atmosphere and claustrophobic environments. It’s one of the best sounding games as well, using audio cues to keep up the suspense and create monsters that sound just as horrible as they look. When the suspense pays off with scares, they work well and the incorporation of heavier psychological elements in the latter half of the game keeps players on the edge of their seat all the way through. The final piece of the immersion puzzle is the overall aesthetic of the game. 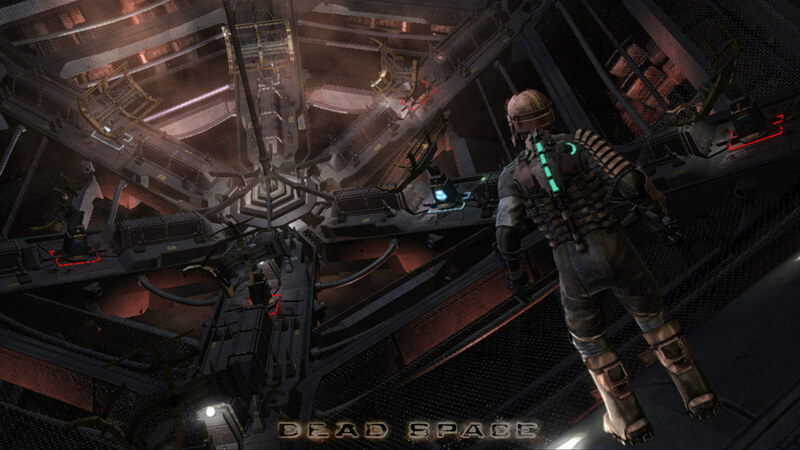 Dead Space feels utilitarian and believable, much like the first Alien movie, which drew me in even more. Dead Space is an incredible game and helped me to discover my love for the survival horror genre. I’ve never been a big fan of the Grand Theft Auto series, so Red Dead Redemption was a huge and wonderful, surprise. Red Dead taps into an under utilized setting/time period in games and created something that was fun to play and presented an engaging narrative. At the time, Red Dead represented the best open world I’d ever seen. While the landscape was rather sparse, it felt appropriate for the wild west. You’d run across someone just often enough to remind you that there are towns with people around and trains, wildlife, and wandering folk all breathed life into the world. I enjoyed my time there so much, that I spent an insane amount of time completing all the side challenges and activities. I particularly remember spending an inordinate time looking for armadillos for the hunting challenges. Riding horses was enjoyable, the shooting was fun, all the weird gambling activities were neat, and it was still real fun to walk into a town and cause utter mayhem (it still had some GTA in it). The real meat of Red Dead was it’s story and I think it features one of the best final 1-2 hours that I’ve ever seen from a game. Red Dead Redemption is not only a great game, but I think it’s in the conversation for the best game of that console generation. Halo, up until recent entries, was my favorite game series of all time and Halo: Reach is the ultimate Halo game. Reach builds on the foundation laid out by the original trilogy, but also deftly incorporates some of the features and ideas from ODST. The campaign felt much more personal than the previous mainline games and it was nice to have a big budget Halo game without the Flood. Like ODST, the single-player experience in Reach is more focused all around which allowed for more character development/relationship moments with your squadmates. It’s by no means, a story-telling tour de force, but I enjoyed it quite a bit for what it was. As much as I loved the single-player elements of Reach, the multiplayer is even better and stands as my favorite online FPS experience to date. Because the game was so feature rich, there was always something fun to do with my friends. I thought the competitive multiplayer offered the best mix of weapons and modes while adding a new wrinkle with the armor abilities. Firefight was fleshed out massively from ODST to Reach and went from being a neat idea to a flagship game mode. Tying it all together were daily and weekly challenges to keep you checking in and working to unlock new armor customizations for your Spartan. Halo: Reach will always hold a special place in my heart and was certainly a contender for the top spot on this list. I had never heard of Persona until I ended up with a Vita and needed something to play. I ended up scanning through reviews and saw that Persona 4 Golden was getting extremely good marks and decided to look into it. I think Persona is most easily described as an anime that you play and I love all of it. You’ll spend time going to school, making friends, cultivating relationships, working part time jobs, dungeon crawling, and (in the case of P4G) solving a mystery. There are a lot of things that make Persona 4 great, but the story and characters are what stand out the most to me. The game incorporates a system, called social links, that rewards players for building relationships with friends by giving them bonuses to the combat side of the game. On top of being incentivized to pursue social links for gameplay reasons, the character development in these interactions is phenomenal. Persona explores issues of self-confidence, sexuality, and living up to expectations with a surprisingly deft hand. In addition, the game presents the western audience with an opportunity to get a small glimpse of what Japanese day-to-day life is like. All of this is woven into an overarching narrative that is fun and engaging from start to finish and it kept me glued to the screen for hours at a time. It’s always a lot of fun to pick up a game with no expectations or ideas about what you are getting and then be completely blown away. Persona 4 has made a huge fan out of me and I’d recommend it without hesitation to anyone willing to give it a shot. Star Wars: Knights of the Old Republic takes my top spot for a couple of reasons. First off I have been a huge Star Wars fan for a long time and I think there’s a strong case for KOTOR as the best Star Wars game ever made. This is one of a handful of Star Wars titles that really and truly feels like Star Wars while simultaneously being a very good game. Secondly, this was my first time experiencing player choice in a meaningful way and it opened my eyes to the possibilities of affecting a game’s outcome through your actions. 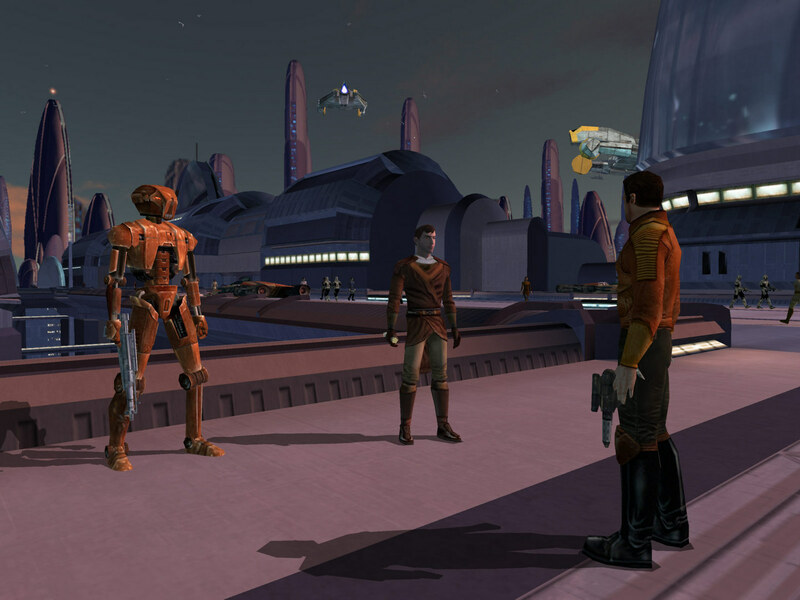 The systems in KOTOR are not perfect, but it was a completely new concept to me at the time and I think it is well-done more often than not. Finally, I have a lot of nostalgia for this game, but I play through it every once in awhile and I think it still holds up to this day. The gameplay is still solid, the story holds up, and there is enough variety in skills and abilities to keep every playthrough fresh. It turns out narrative is something I really enjoy in games and KOTOR was the first game I played with narrative substance. The slow build up towards the game’s huge twist is very well done and having your character turn out to be a big bad guy rehabilitated was a neat direction to take the story. At the time it was a great looking game and I still think it has the best Star Wars music not composed by John Williams to date. I think I can sum up my thoughts best with a short anecdote. When I played through the game for the first time, the family computer had a real hard time running the game. I’d often get caught in a frozen running animation and just slide in one direction until I hit a wall, which made navigation pretty tricky for much of that playthrough. Despite that, and many other technical hurdles, I powered through and finished the game. Normally I wouldn’t have patience for that kind of nonsense, but I wanted to finish KOTOR no matter what it took. Thanks for reading part 2 of my top 10 games list. I hope you enjoyed it and hope that maybe you’ll feel inspired to try one of these games for yourself (if you haven’t already).